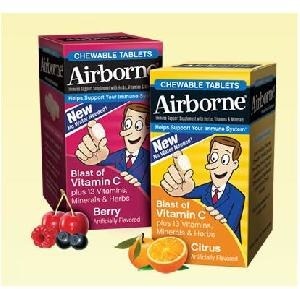 Head over here to request today’s freebie of the day, FREE samples of Airborne! You’ll receive samples of Plus Energy, Hot Soothing Mix, Chewables, and Effervescent. Allow 4-6 weeks for delivery. Please note: After you submit your information you’ll be offered other samples and promotions, feel free to decline them by selecting “no” and you’ll still be able to snag this freebie.